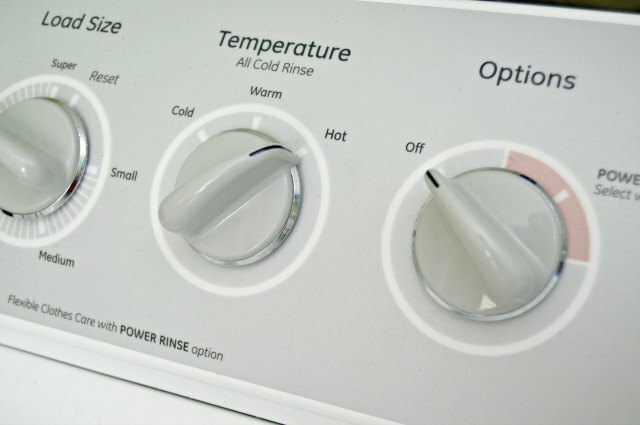 One appliance that we often forget to clean is the washing machine. Most people assume that since their washing machine washes their clothes, then they are probably self-cleaning at the same time as well. The truth is that moisture, mildew and all the debris coming off of our clothes in the wash can find their way into the nooks and crannies of our washing machines. 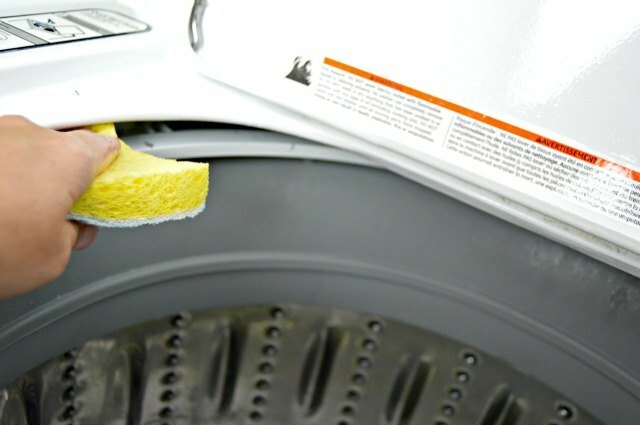 It's a good idea to deep clean your washing machine every few months to keep things running smoothly and cleanly. 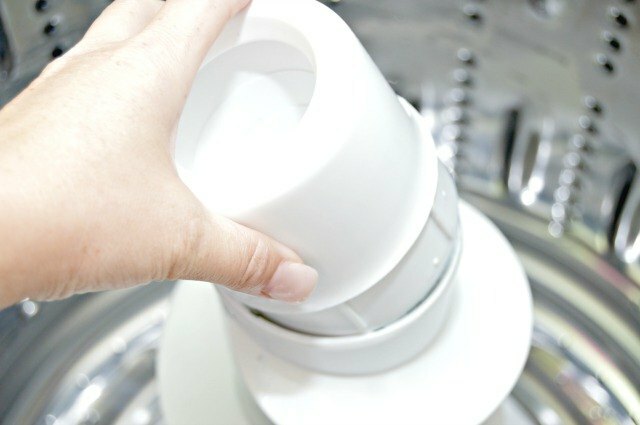 These tips will help show you how to clean a top loading washing machine with natural ingredients in just a few minutes. 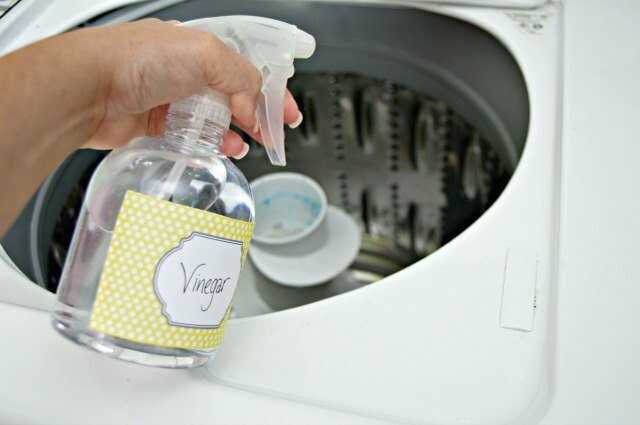 Grab your vinegar-filled spray bottle and spray under the lid of your washing machine, around the edges, the entire inside of your washing machine's agitator, and in all of the nooks and crannies at the top too. 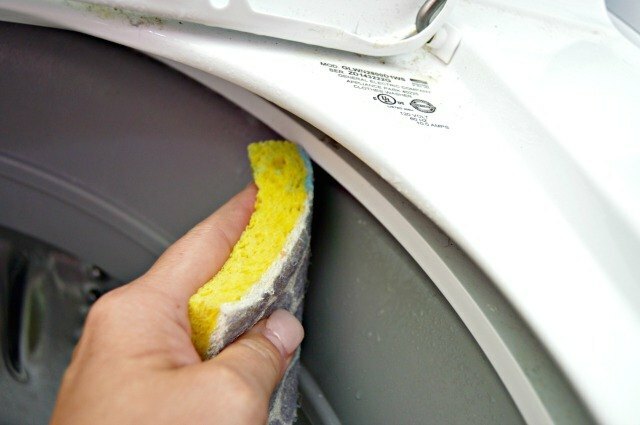 Starting at the top of your washing machine, wipe in between any grooves, under the lip at the top of your washer, around the door and hinges, and the entire inside of the agitator. 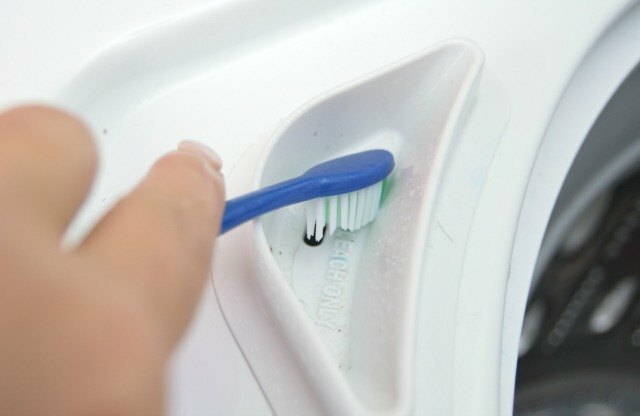 Use a toothbrush to get into the small spaces and clean any residue left behind from fabric softener and any other substances that may be lurking in the hard to reach spots. 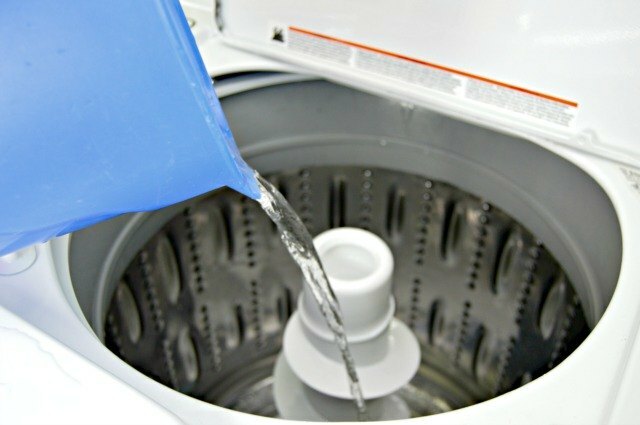 If your washing machine has a removable fabric softener dispenser, remove it and give it a good cleaning. Use a pitcher of warm water to rinse any of the spaces that you scrubbed with your sponge and toothbrush. 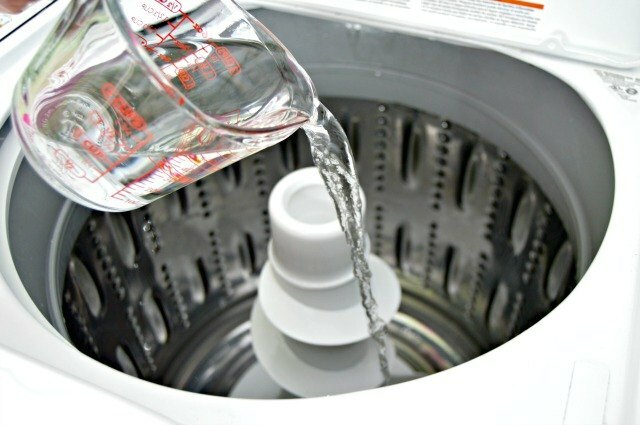 Since water doesn't reach some of these spaces during a normal wash cycle, it is important to rinse them before the last step. 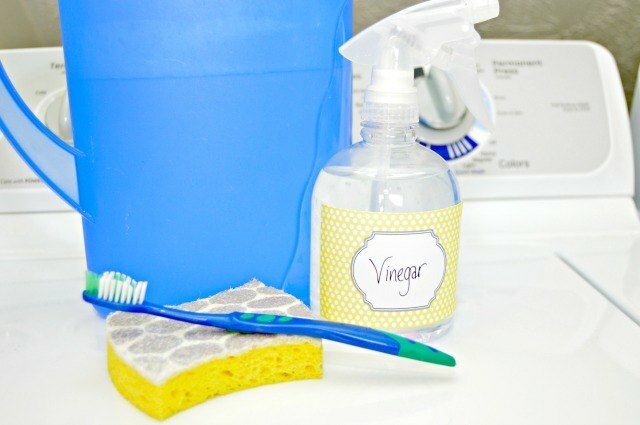 Vinegar helps to clean and disinfect, as well as remove any mold or mildew buildup and smell in the parts of your washer that can't be reached. Run a regular cycle on hot with just the vinegar inside. Now your washing machine should be clean and ready to use once the cycle is finished.